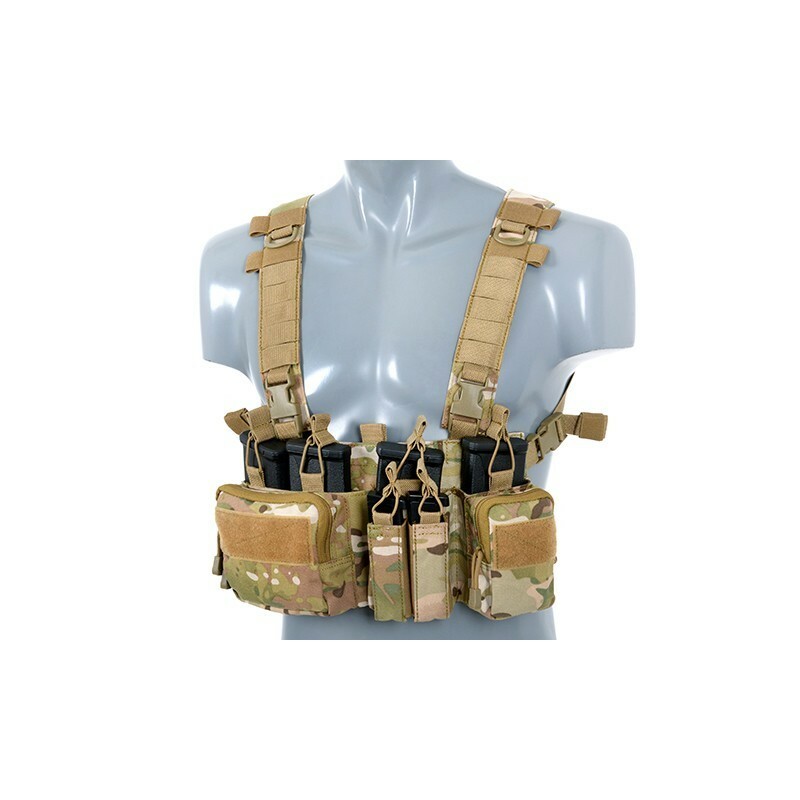 The Chest rigs are widely used by professional soldiers for holding ammunition, mags and other essential items. 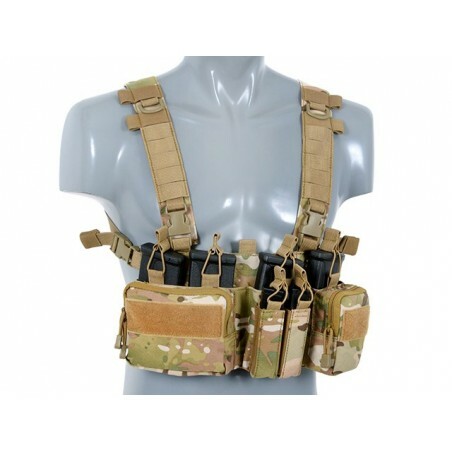 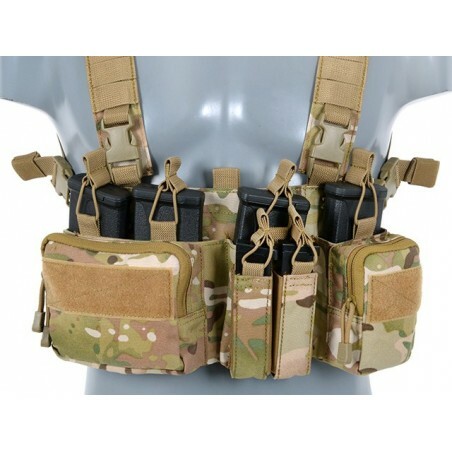 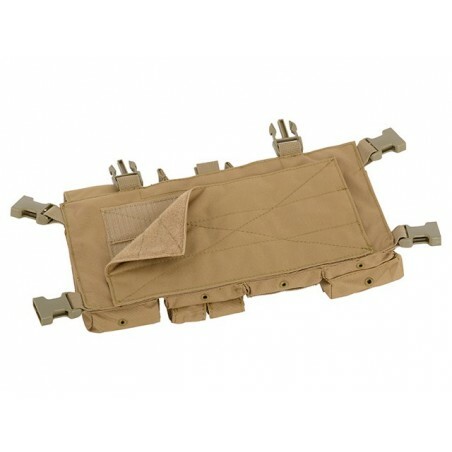 This Multi-Mission Chest Rig capable of carrying M4/M16/AR-15 and AK magazines, double or single stack pistol magazines, radio, flashlights, multi-tools, 37mm/40mm grenades or many other accessories. 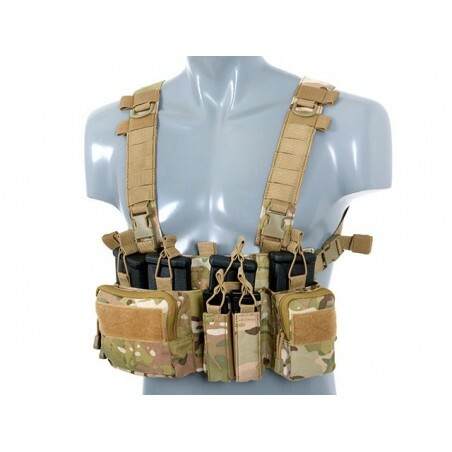 Adjustable padded shoulder straps and an adjustable H back harness allows this highly-adaptable rig to fit any size operator.